Castaway Island - It’s everybody’s dream to have their own private tropical island – however few people can make the dream into reality. The reality is that it is easy to buy the island – then the challenge begins. 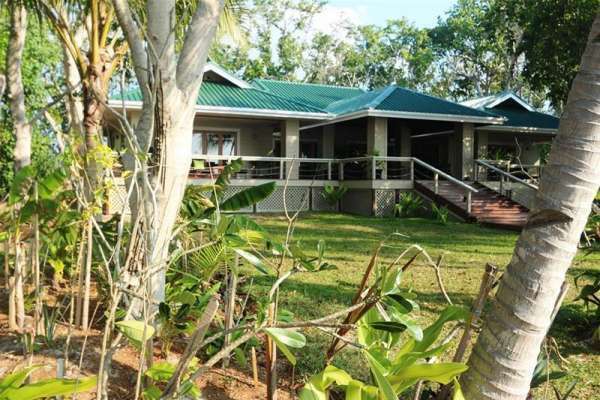 Here the challenge has been met and won and the result is a truly magnificent, unique property. From the moment you arrive at the landing at Castaway Island you can see that everything has been constructed to exacting standards. 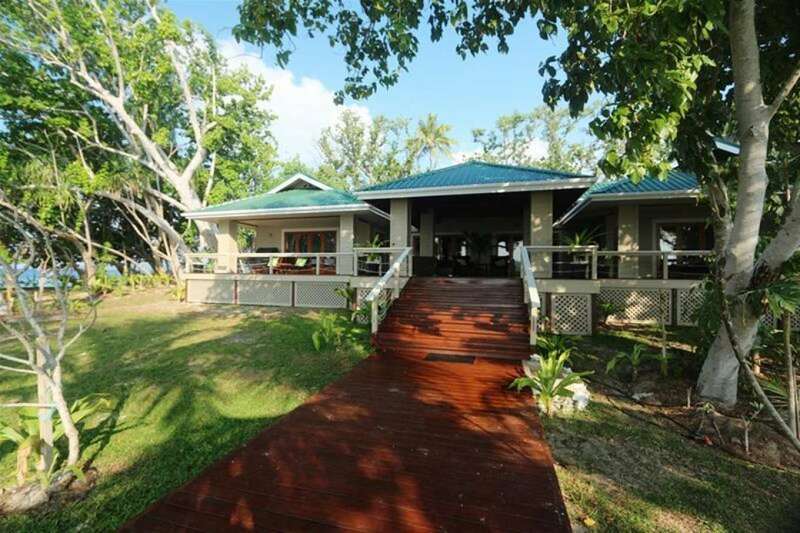 Step onto the jetty with its green roofed shelter (matching the house) and you feel invited by the timber walkway that draws you through the grand entrance way and up the steps to the mansion. With 500 square metres under roof this home has been engineered for the tropics and designed for gracious living. 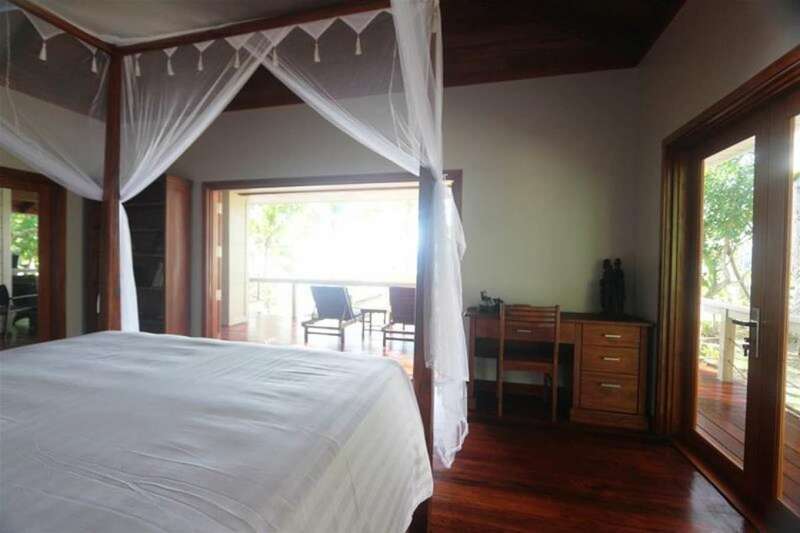 Elevated to enhance the views and the breeze you can relax on the vast verandah or in the spacious lounge on the luxurious leather suite. Whichever window you look from in this beautiful new home you can see the brilliant hues of the surrounding tropical waters. 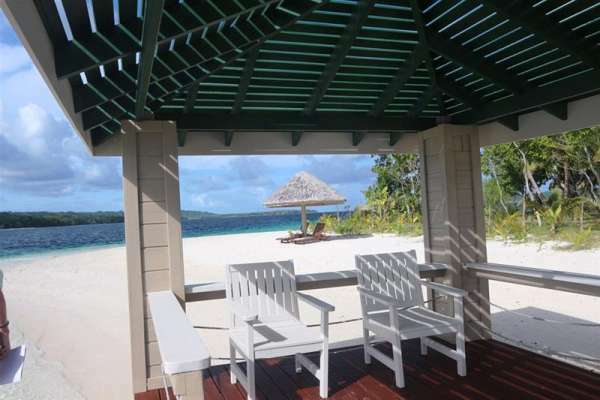 Wherever you walk, you see the tropical blues of the water and white sand or live coral surrounding the island – look further and you see other islands that give you a good feeling of not being too isolated yet at the same time having perfect privacy in your own neighbourless space. 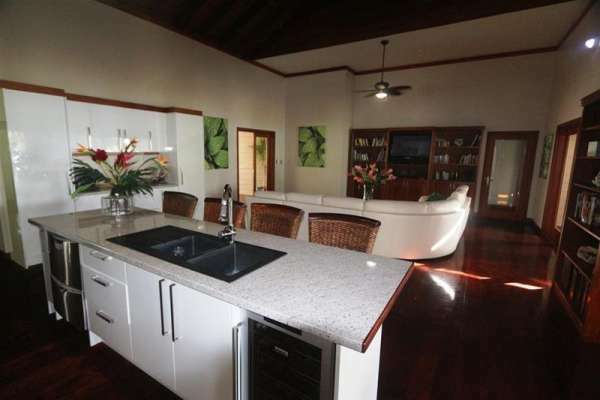 Modern appliances feature in the imported well appointed and designed kitchen and local Natora (Kwila) hardwood floors are cool underfoot throughout the entire home. Anyone living in the tropics knows the value and benefit of high ceilings for coolness – as well as the sense of space and grandeur that they provide. 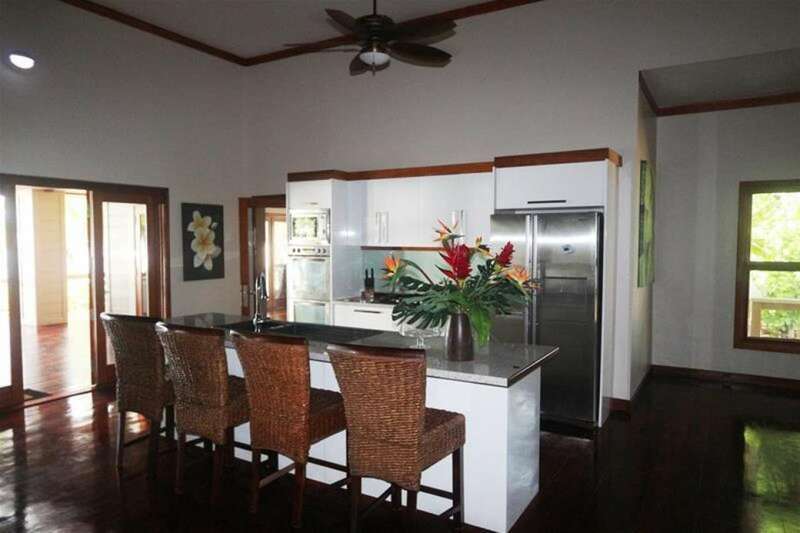 The open plan lounge and dining space feature vaulted ceilings lined with beautiful local timbers and all other rooms have high plaster finish ceilings providing light airy spaces. Accommodate your family or guests easily with three king sized bedrooms, a bunk room for the children and a fifth room that can be your private office or extra bedroom – plus there is ample storage throughout the home. 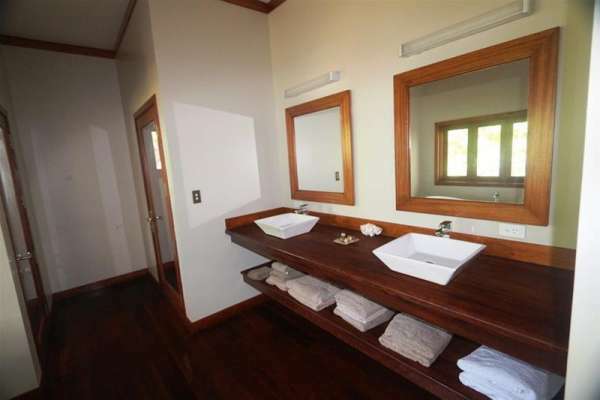 Three bathrooms are simply superb – dual facilities with ample storage, separate toilets and a luxurious free standing bath in each one. 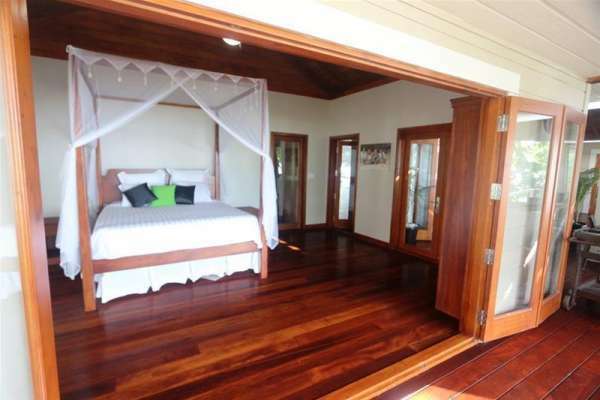 Plus indoor/outdoor shower where you can soap up while you soak up the gorgeous environment that surrounds you. 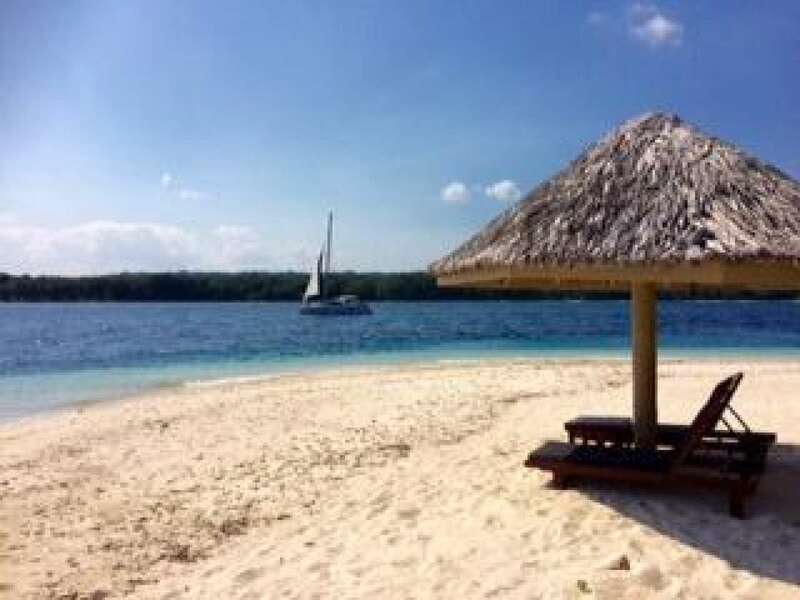 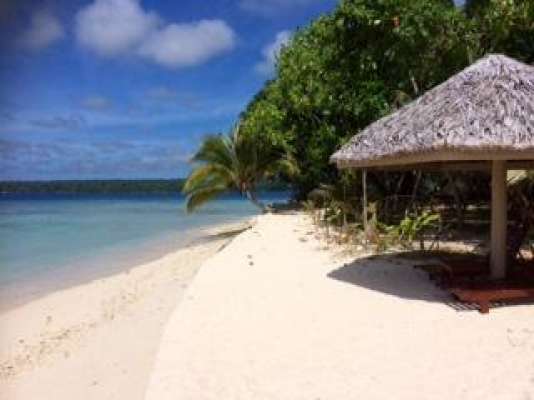 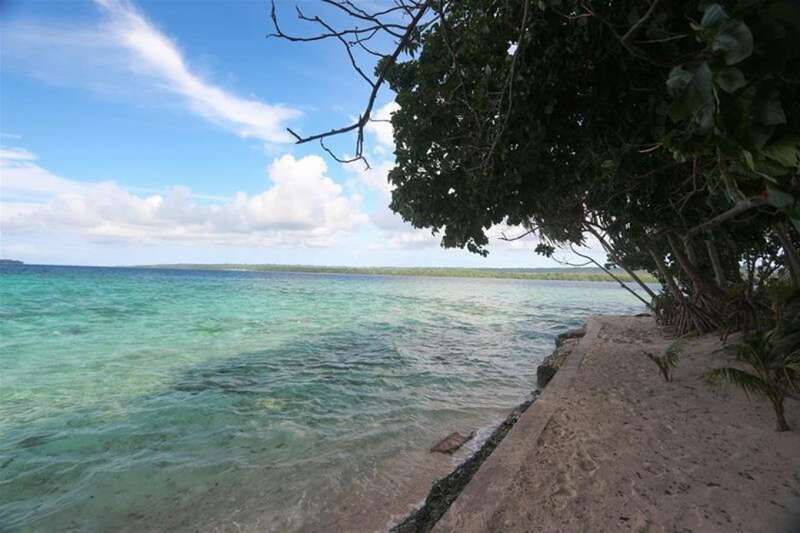 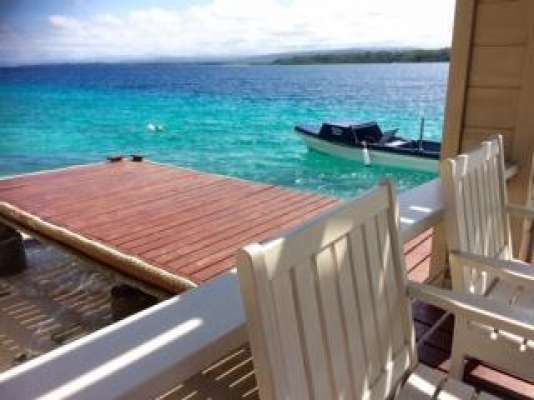 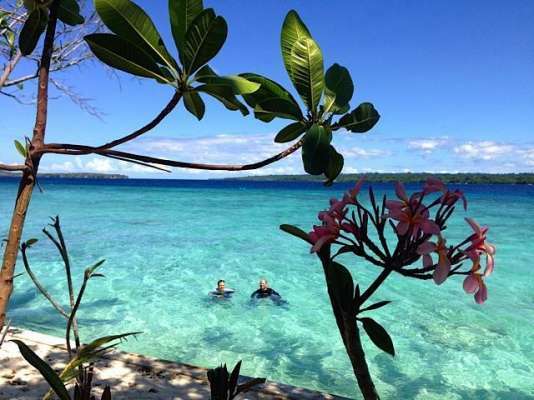 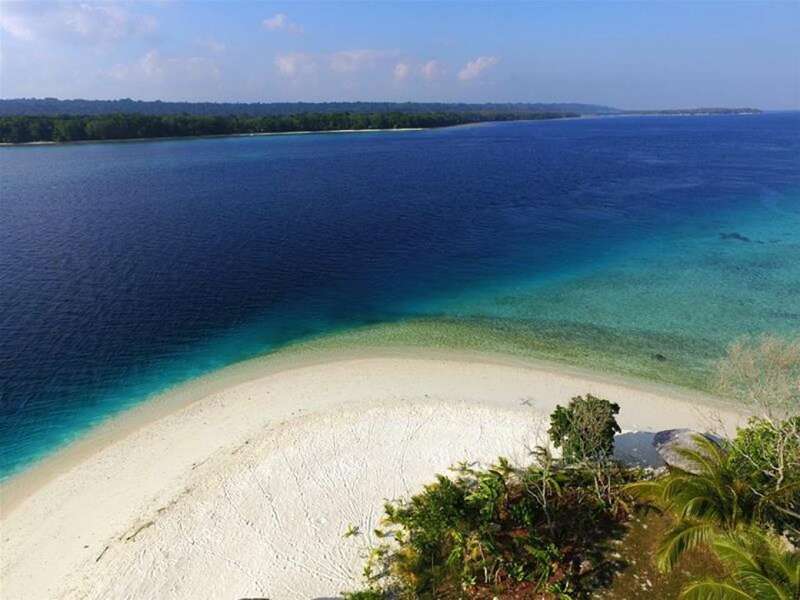 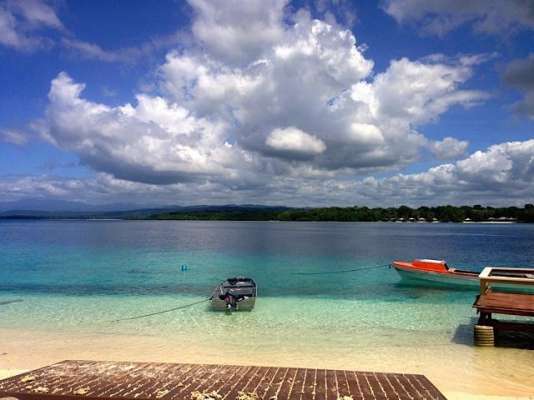 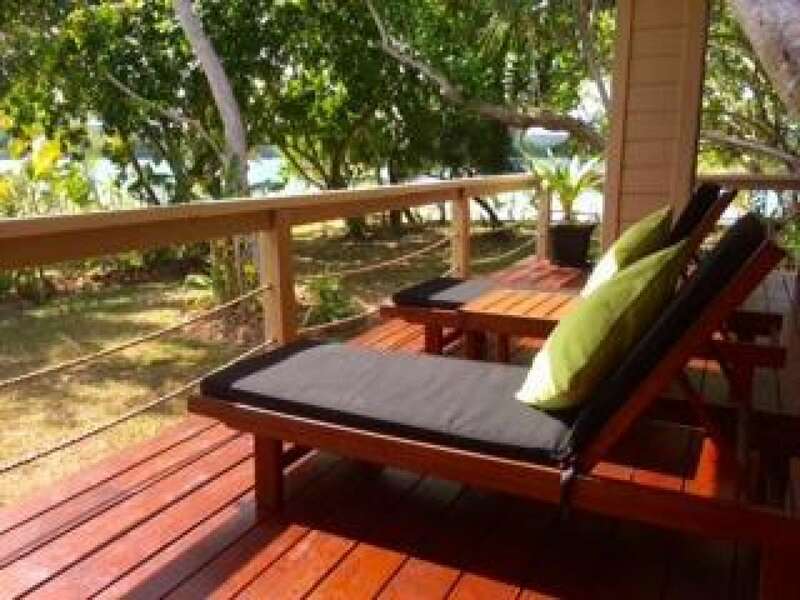 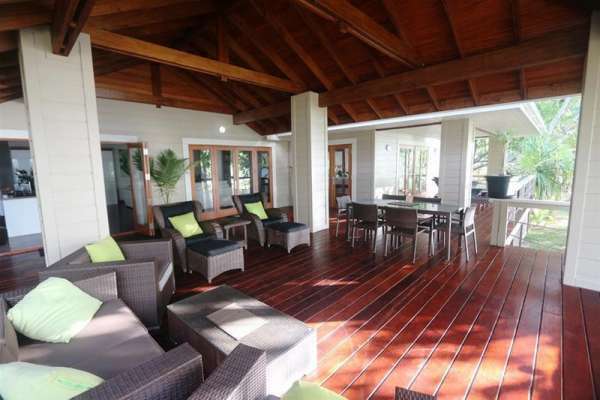 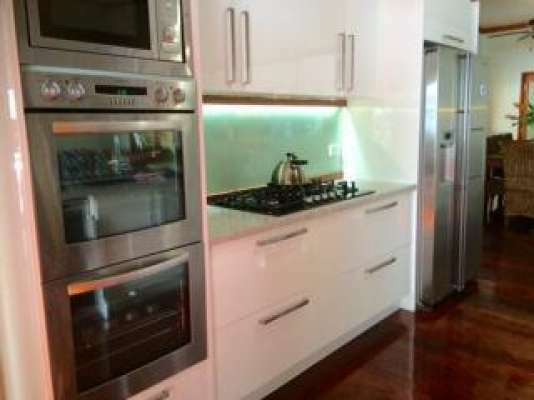 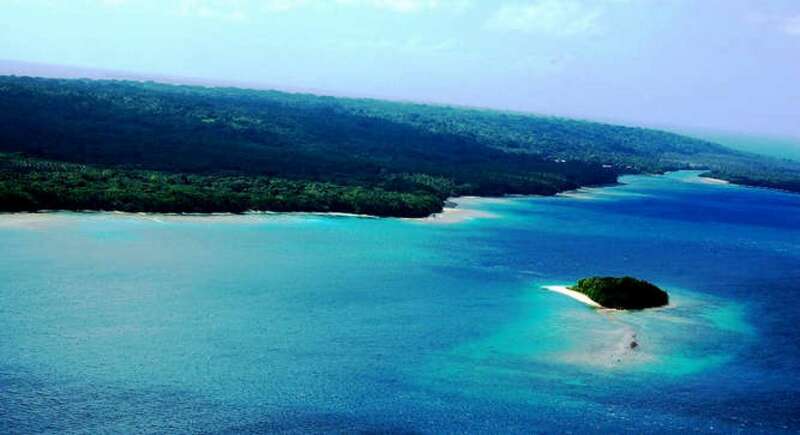 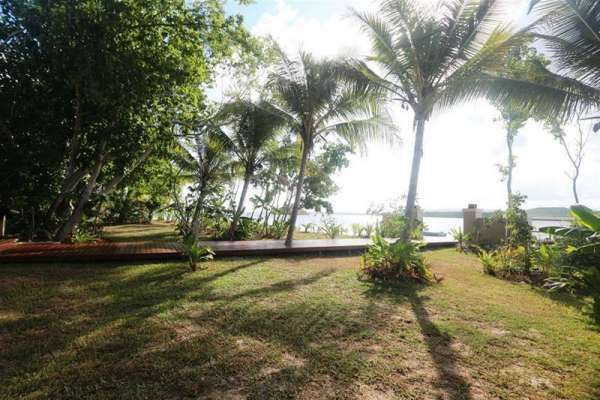 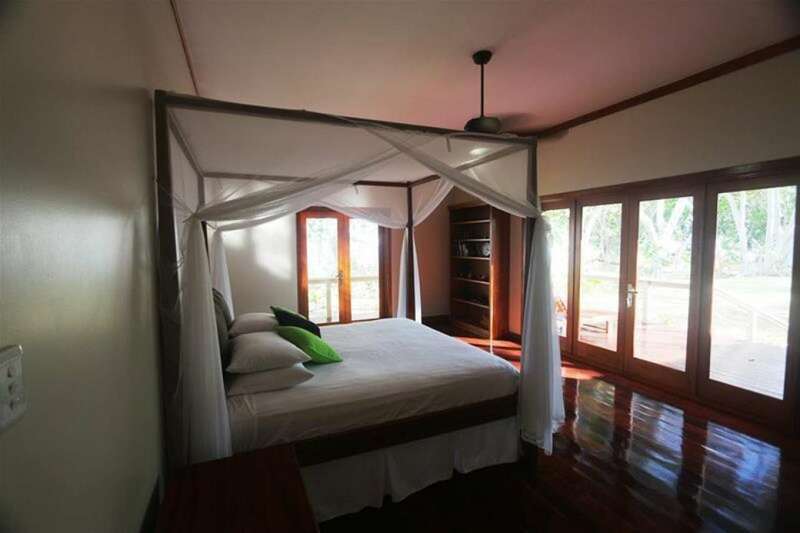 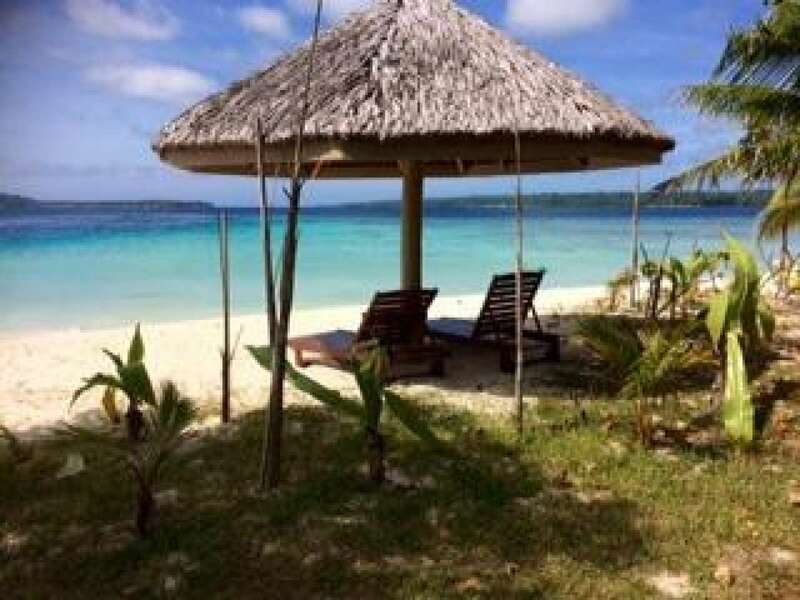 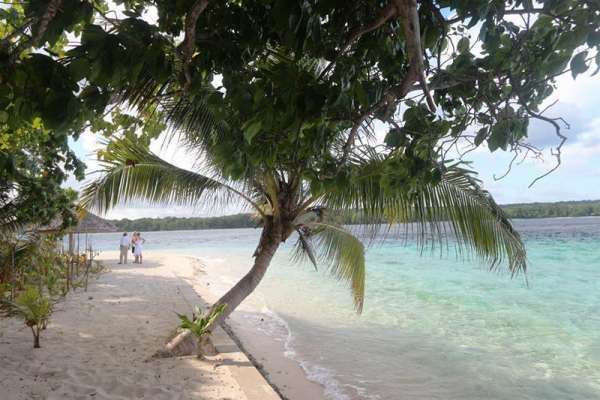 This superb property is ideally suited to a private residence or a top end exclusive retreat being one of the highest quality homes in Vanuatu and a standard that would not be out of place anywhere. 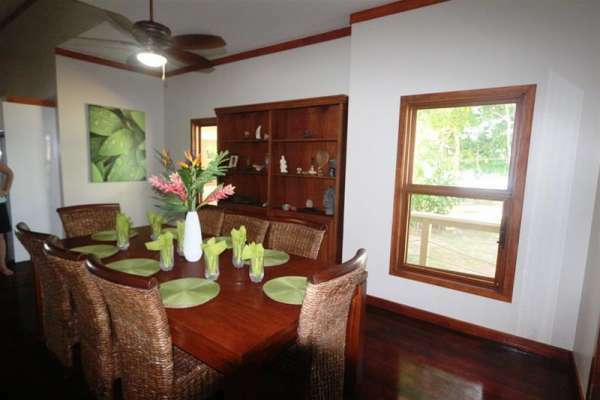 It comes fully furnished and equipped – simply pack your clothes and move in! 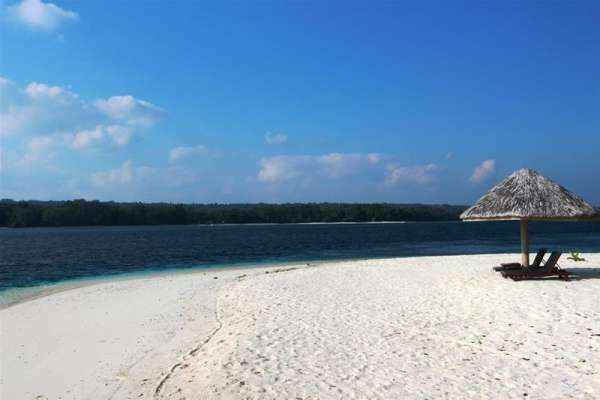 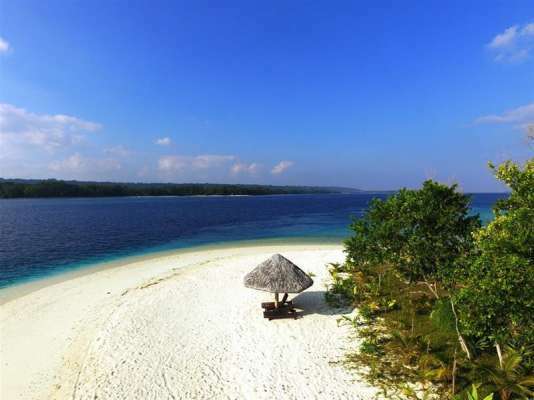 Castaway Island is far enough away from other land that it does not have any mosquito's – nor are there any other biting insects, snakes or any wild animals. 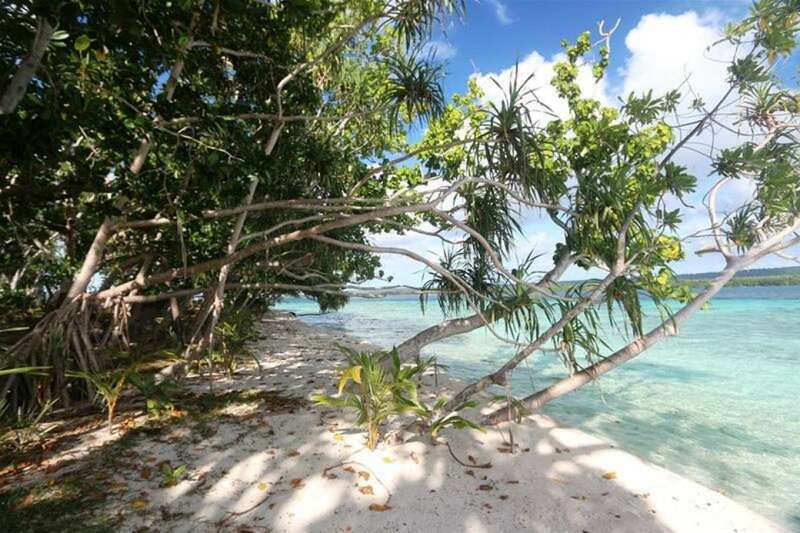 A genuine piece of paradise – there is no other way to describe it! A hectare of groomed lawn below the tropical trees provides ample space for you to add your own touches if you wish. 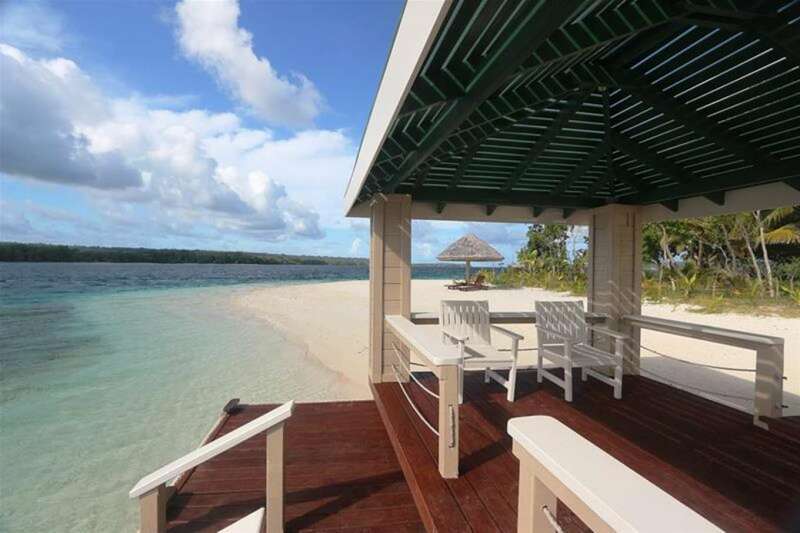 There are too many features to write here – if you consider this could be your personal piece of paradise email us now for a full property memorandum. Better still – book a flight and come see for yourself.